The food and beverage sector is expected to produce more than half this growth. 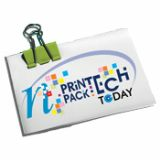 McCormick Place, Chicago; Nov. 06, 2016 - The value of domestic shipments of packaging machinery is projected to grow at a compound annual growth rate (CAGR) of 2.4 percent reaching $8.5 billion in 2020, according to PACK EXPO owner and producer PMMI, The Association for Packaging and Processing Technologies. More than half of this growth is expected to come from the food and beverage sector. The report also notes the value of domestic shipments of U.S.-produced machinery rose 0.3 percent to $7.51 billion in 2015. Exports of packaging machinery in 2015 increased by 3.2 percent, compared to 2014 and are now $1.1B. Backlog orders of packaging machinery grew by 14.1 percent compared to backlog orders at the end of 2014. PMMI released the findings of its 2016 State of the Industry U.S. Packaging Machinery Report this morning at a press briefing conducted on-site at PACK EXPO International and Pharma EXPO 2016. PMMI produces the State of the Industry study based on U.S. Census Bureau reports and shipments data provided by association members who manufacture packaging machinery. The report, which analyzes 28 packaging machinery categories, describes trends and the outlook for packaging machinery shipments through 2020. According to the report, the labeling, decorating and coding and case handling machinery groups are forecast to increase the fastest of all machinery types through 2020, at CAGRs of 3.9 percent and 2.5 percent respectively. The pharmaceutical sector is forecast to grow the fastest of all sectors through 2020, at a CAGR of 2.8 percent. This is followed by the beverage sector, which is forecast to grow at a CAGR of 2.4 percent. 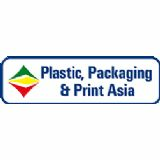 "The forecast for the packaging machinery market is strong. We continue to anticipate growth in major market segments such as pharmaceutical as well as beverage. Factors such as changing consumer habits, new regulations as well as general economic development are fueling this development," says Jorge Izquierdo, vice president, Market Development, PMMI. In regards to machinery categories, the rapid growth anticipated in the labeling, decorating and case handling segment is largely a result of new legislation demanding increased labeling and coding, continuing developments in printing technologies and the proliferation of SKUs. 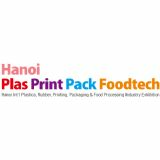 PMMI's PACK EXPO portfolio of trade shows continuously brings opportunities for the packaging machinery industry to help support and grow the industry. PACK EXPO East 2017, returning to Philadelphia (Feb. 27 - March 1, Pennsylvania Convention Center) will bring together suppliers of packaging innovations food, beverage, pharmaceutical/medical device, cosmetic/personal care, chemical/household and other packaged goods that serve companies of all sizes. With one-third of the nation's consumer packaged goods companies located within 200 miles of Philadelphia, PMMI is expecting another top-tier event for the growing industry. Next year will also see the addition of ProFood Tech (April 4 - 6, 2017, McCormick Place, Chicago), the most comprehensive food and beverage show in North America, transcending market sectors and showcasing cutting-edge technologies and innovation solutions. Powered by three of the world's trade show leaders - PACK EXPO, Anuga and the International Dairy Foods Association (IDFA) - this biennial show has already garnered massive support across market sectors and is unrivaled in its ability to bring the processing industry together and address the most critical issues. The full 2016 State of the Industry Report is available for download on pmmi.org, and an infographic detailing key findings is available on packexpointernational.com.